Finding the right foundation is something that I always struggle with. I have a lot that I like on good skin days, but not many that I'm in love with. 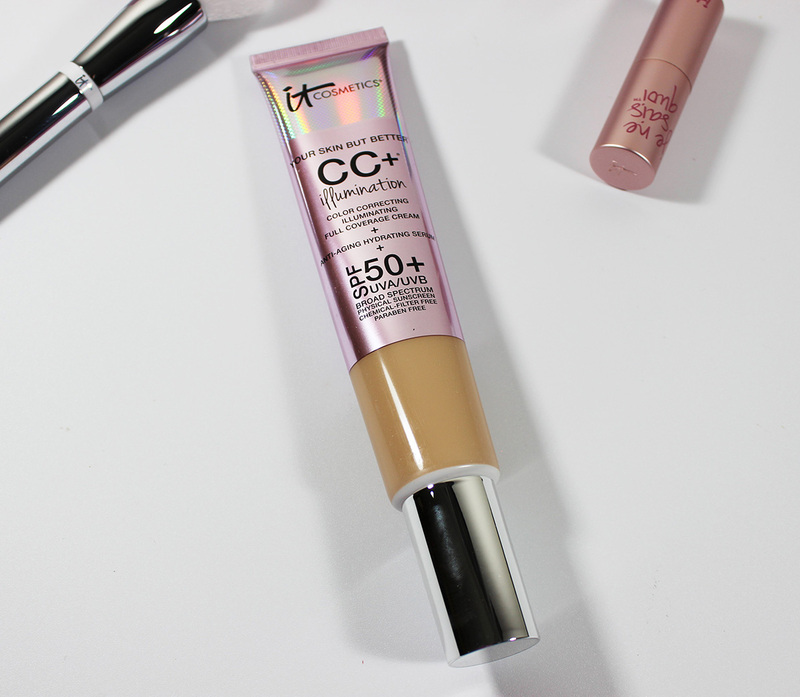 I'm currently obsessed with two, the IT Cosmetics IT O-2 Foundation and the IT Cosmetics Your Skin But Better CC+ Illumination Full Coverage Cream. I talked about the IT O-2 Foundation a while ago and I've repurchased it once already. I'm currently almost out of that foundation, so it looks like I'm going to need to pick it up again. But I've only recently gotten the CC+ Illumination Cream, so here's the review. That looks beautiful on you! I prefer the original formula on my skin. I sure love this line!! Thank you! I love the original, too! Such a great formula! Thank you! It is so nice! It does look like your not wearing any product. Amazing finish! Oh yeah, it's really natural looking. Wow that coverage is pretty awesome, I love how glowy it is! I'm always drawn to packaging like this. If it's shiny or holographic, I'm touching it! Haha! That makes your skin glow!